Time: Reading time: 15-20 mins and activities of 20-30 minutes each. FAMOUS STEM INVENTORS introduces kids to the world’s most famous young inventors in the field of S.T.E.M (Science, Technology, Engineering and Math). All things that we enjoy are a product of brilliant minds, scientists and engineers. 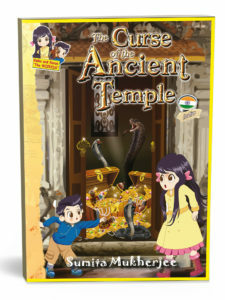 This book imparts information that is interesting and engaging to young boys and girls between 6-10 years age. 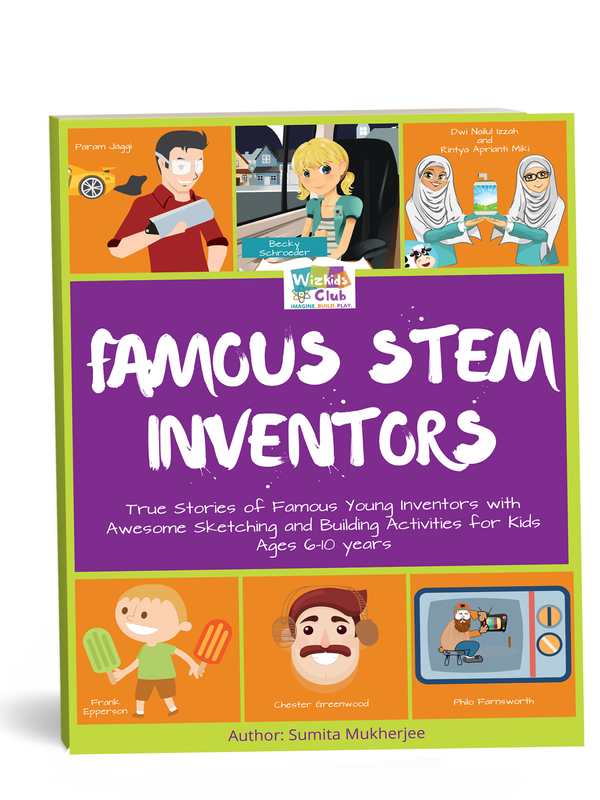 STORY OF INVENTORS: Kids will be transported to the fascinating world of famous creators and learn about their first inventions: Glowing paper, Popsicle, Windsurf board, Television, Earmuffs and more. 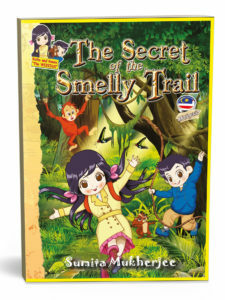 The book arouses their natural curiosity to be inspired from their role models. DESIGN PROCESS: It showcases the Engineering Design Process behind every invention. Highlights what they invented and how they invented, thereby, revealing the steps to all new discoveries. 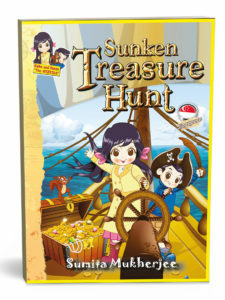 SKETCHING AND DESIGNING ACTIVITY: It encourages kids to sketch and design their own ideas through the design activity. 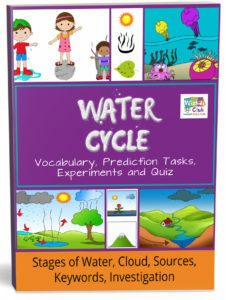 This book prompts kids to think creatively and it arouses their natural curiosity to build, make and tinker.